WHO ARE WE? 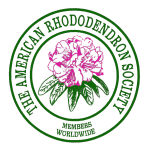 A registered chapter (one of seven in BC) of the American Rhododendron Society (ARS) and a member of the Rhododendron Species Foundation (RSF). Our chapter’s membership extends from the North Vancouver to Mission, Surrey, Langley, Abbotsford, Vancouver Island and even Whatcom County. WHAT DO WE DO? We hold monthly meetings to share plants, experiences and garden knowledge and to enjoy talks by horticultural experts in many fields. We are introduced to the botanically unusual and exotic. Monthly topics range from rhodo hunting in the jungles of Sikkim to the challenges of bee keeping in the Lower Mainland. We enjoy tours of local private gardens of interest, not otherwise accessible to the public. 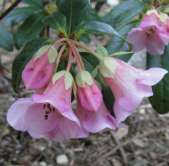 We have an annual spring plant sale of rhodos and companion plants. Our very popular annual Christmas party and spring picnic round out the seasons. We have fun, energetic and very sociable meetings with knowledgeable and entertaining speakers, plants for sale, a raffle, delectable munchies and coffee. The opportunity to purchase rare and collector plants at competitive prices. Regular tours of private gardens of both members and non-members. Association with ARS brings its acclaimed quarterly journal, annual and fall conferences, access to the ARS seed bank and to events (meetings, field trips) of sister chapters. Membership in RSF gives us free access to the inspiring RSF gardens in Federal Way, WA.